It's time to take your first flight. 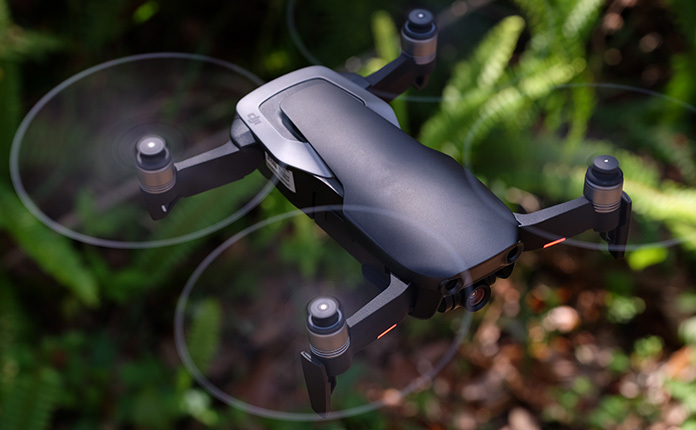 If you haven't already read my tutorial on Setting Up Your New DJI Mavic Air Drone, I recommend you do that before reading this one. 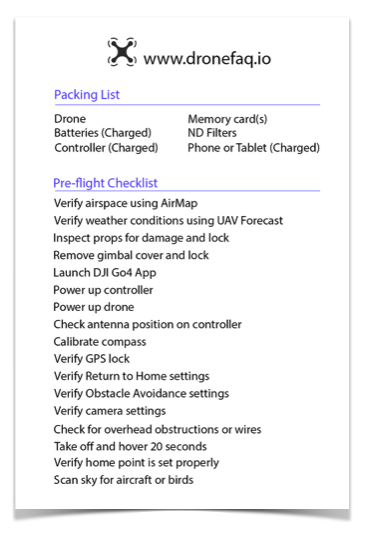 It walks you through everything you need to do to get your new drone ready to fly. Now that you have your Mavic Air set up, let's get it up in the air! If you haven't already downloaded the UAV Forecast app, do it before you head out to fly. This app will show you wind speed at various altitudes as well as things like magnetic interference. If there are any conditions that are not good for flying, don't fly. I know you're anxious to try out your new Mavic Air, but don't fly if the weather is not good. Seriously. Just wait. I can tell you from personal experience it's no fun to drive to a location to fly and discover you left something important sitting at home. Don't assume everything is in your bag and just grab it as you head out the door. Check it before you leave. Pick a location that has plenty of open space without trees and wires. You want to be able to relax and enjoy this first flight without constantly having to worry about hitting something. Also, try to find someplace where there are not a lot of people around. Having people ask you a bunch of questions about your drone while you're flying can be very distracting. I highly recommend using a printed Pre-flight Checklist every time you fly. It's very easy to get in a hurry to get your drone up and forget something. Most times it will be an inconvenience like forgetting to take off the gimbal cover or shooting a bunch of photos with the wrong camera settings. But other times it could be more serious. Not having your Return to Home altitude set high enough to avoid obstacles or not having good GPS satellite connection. Going through a checklist saves you time in the end and can help prevent a costly mistake. You can download the one I use. It's sized to fit on 4" x 6" paper, so you can easily print a copy and keep it in your bag with your drone. Now this looks like a long list of things to do before you fly, but it won't take any more than two hours to complete. Totally kidding. I just did it and timed it at just over two minutes.Trust me, it's worth the time. Open AirMap on your phone and check to make sure you are not in a restricted airspace. If you are flying recreationally you may need to contact nearby airports or heliports to advise them that you are getting ready to fly. AirMap usually provides phone numbers for these facilities. Unfold the arms, starting with the rear ones, and fold down the landing gear legs located on the front legs. Now inspect the props to make sure they do not have any cracks or nicks. You also want to make sure they are locked into place. Pinch the little tabs on end of the gimbal cover and slide it towards the front of the drone until it slides off. 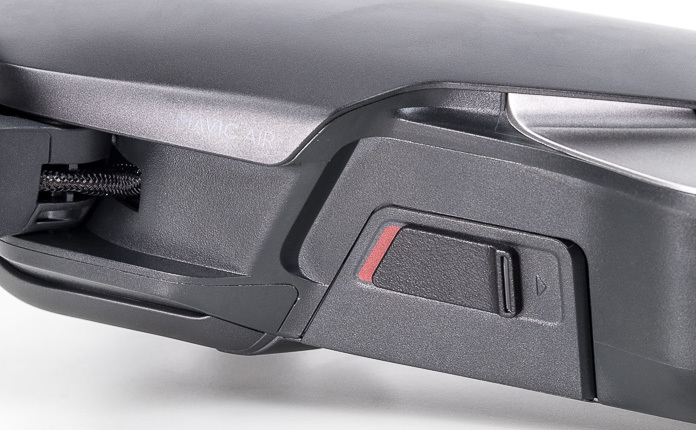 If you look at the sides of the battery on the Mavic Air and see any red, that means its not fully seated in the battery compartment. Press down on the battery until you hear it click and you no longer see the red indicators. Don't take off if you see this red indicator on either side of your battery. Power up controller by pressing then pressing and holding the power button in the top right corner. Power up Mavic Air by pressing then pressing and holding the power button on the battery for a couple of seconds. Unfold the antennas on the controller and rotate them so they are parallel to each other and at a 45 degree angle to the controller. The odds are about 95% that you are going to need to calibrate the Mavic Air's compass. If you see a "calibrate" button on the screen, tap on it and follow the directions to do the calibration dance. In a perfect world, you want to lock onto at least six satellites. If your Mavic Air can't lock onto the GPS satellites, it is possible to fly in what is known as ATTI mode, but it will require you to work the control sticks a lot more to maintain position. Until you get some flying experience, wait until you see the green stripe at the top that verifies you are in GPS mode. 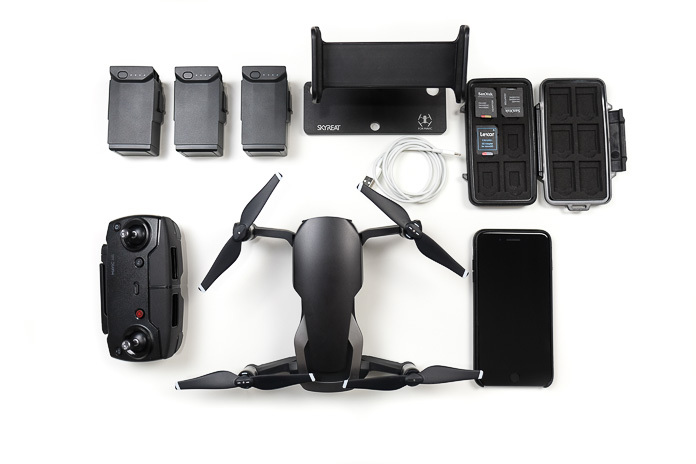 Your Mavic Air has a Return to Home failsafe built in that will cause it to return to the Home point in the event of signal loss or critically low battery. You want to make sure you have the Return to Home altitude set high enough that the aircraft will clear any obstacles on its way back to the take-off point. I have a tutorial on the Return to Home settings I would encourage you to read. It was written for the Mavic Pro, but the information applies to all DJI drones. Return to Home is a wonderful feature that can save you a world of hurt. But if can also cause you a world of hurt if you don't understand how it works. Read the tutorial and you'll understand what I mean. Open the settings by tapping the three dots in the top right corner of your screen. Then tap the first icon in the column on the left and to open the Main Controller Settings. You will see the current Return-to-Home Altitude setting in the box on the right. Even if you have your preferences set to show measurements in the Imperial system, this one is always in meters. If you want to change the setting, just tap on the box and enter a new number. This would be the perfect time to enable Beginner Mode if you are new to flying. It will limit your altitude and distance as well as make the control sticks a little less responsive to prevent you from overreacting and crashing into something. I highly recommend it until you get comfortable flying. There may be times you want to turn them the obstacle avoidance sensors, but make sure they're on for your first flight. You paid for them so why not use them? Open the settings by tapping the three dots in the top right corner of your screen. Then tap the second icon from the top to open the Visual Navigation Settings. Make sure Enable Obstacle Avoidance is showing green. Tap the Camera Settings icon on the right side of your screen (the three horizontal lines with circles located under the shutter button) and set everything up the way you like for this flight. For your first flight, Auto will be perfect. When you're ready to try out some of the more advanced camera settings, check out my tutorial on Best Camera Settings for the DJI Mavic Air. You also need to set the location for your images and video to be stored. The two choices are the internal storage or the Micro SD Card. I use the card because it stores more, but either one will work just fine. When you're in the camera settings, just tap the gear icon at the top right then scroll down. Tap on Storage Location and select the one you want to use. Check the space around you to be sure it's clear of any branches or wires. Now tap the "Take off" icon on the left side of your phone's screen then slide the "Takeoff" slider to the right. The props will spin up and the Mavic Air will ascend to four feet then hover. If you tap the "Precisely record takeoff point" checkbox, your Mavic Air will take off then ascend to about 30 feet before it hovers. Theoretically, if you use the automatic Return to Home feature to land your Mavic Air this feature will improve the landing accuracy. I've not found the precision feature to be any more precise than the regular, so I never use it. Let the aircraft hover for 20-30 seconds before you start flying to make sure everything is working properly. Once you take off, you will hear. "The home point has been updated. Please verify it on the map." If you look at the map in the lower left corner of the screen, you should see the little paper airplane icon (not the official name, but that's what it looks like to me). Make sure it is in the correct spot, because that's where your drone will land if the Return to Home sequence is initiated. You can make the map bigger by tapping on it. Tap it again to make it smaller again. Take one last look at the sky to make sure there are no aircraft or big birds in the immediate vicinity. Push the left stick forward and your Mavic Air will start climbing. Pull back on the stick to descend. Pushing it left or right will rotate, or yaw, the aircraft left or right. Use the right control stick to move the aircraft left, right, forward and backward. One very important thing to remember is control stick input is relative to the orientation of the aircraft. The camera is on the front. 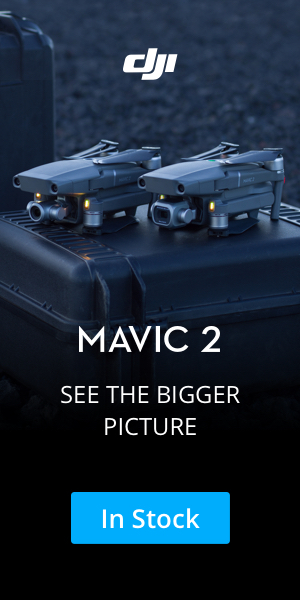 If your Mavic is facing away from you and you push the right stick forward, it will fly away from you. But, if it is facing you and you push the right stick forward, it will now fly toward you. The same thing applies to right and left movement. Until you get the hang of it, stay in wide open areas where it won't matter if you fly the wrong direction. Another important thing is to keep looking up. It's easy to get zoned in on looking at the screen as you fly. But it is essential that you maintain situational awareness. You can do that by bringing along someone to serve as a visual observer or you can just be proactive about looking up from the screen frequently. You are now officially a dronie! I encourage you to fly as much and as often as you can. You want to develop muscle memory and get to the point where you can move the control sticks without having to stop and think about what will happen. The only way to develop that ability is to practice. So get out there and fly safe and fly smart.